If you use the tools and information on this website, please cite the website, www.CATME.org, and the journal articles related to the tools that you use. We would appreciate it if you would tell us where you cite us. Loignon, A. C., Woehr, D. J., Thomas, J. S., Loughry, M. L., Ohland, M. W., & Ferguson, D. (2017). Facilitating Peer Evaluation in Team Contexts: The Impact of Frame-of-Reference Rater Training. Academy of Management Learning & Education, 16(4), 562-578. Ohland, M. W., Loughry, M. L., Woehr, D. J., Bullard, L. G., Felder, R. M., Finelli, C. J., Layton, R. A., Pomeranz, H. R., & Schmucker, D. G. (2012). The comprehensive assessment of team member effectiveness: Development of a behaviorally anchored rating scale for self and peer evaluation. Academy of Management Learning & Education, 11 (4), 609-630. Loughry, M. L., Ohland, M. W., & Moore, D. D. (2007). Development of a theory-based assessment of team member effectiveness. Educational and Psychological Measurement, 67, 505-524. Loughry, M. L., Ohland, M. W., & Woehr, D. J. (2014). Assessing teamwork skills for assurance of learning using CATME Team Tools. Journal of Marketing Education, 36(1), 5-19. 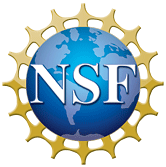 This material is based upon work supported by NSF Awards 0243254, 0817403, and 1431694.